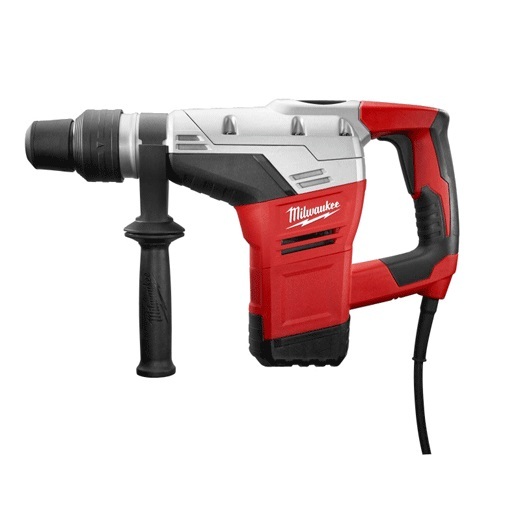 The Milwaukee 1-9/16″ SDS Max Rotary Hammer features a 10.5 amp motor that delivers optimal power for concrete drilling and chipping applications. 5.5 ft-lbs of impact energy combined with 450 RPM and 3000 BPM result in fast drilling performance for the electrical, mechanical, plumbing, HVAC and general construction contractor. The 5317-21 features a 12-position chipping adjustment which allows the user to maintain the desired hammer position while chipping in any orientation. A mechanical clutch and advanced electronics provide ease of use and overall durability for the user.